I'm sure a lot of people have always wondered what was possible with the latest rendition of the Frostbite engine. I mean, it's built for procedural destruction, it's engineered for all out vehicular warfare and it's designed for massive maps with huge amounts of potential. So why limit it to just modern military warfare? Well, Electronic Arts and their ball-and-chained studios aren't just limiting Battlefield's Frostbite-tuned engine to modern military warfare... they're branching out in ways many of us feel is long overdue, especially if that trailer above, courtesy of DualShockers, is anything to go by. Following up on the barrage of information leaked about the game ever so recently, is a brand new features and modes trailer, detailing a lot of the cool new gameplay elements that completely overhaul the Battlefield experience. In typical EA fashion, it's impossible for any FPS fan to not get excited. I mean, here it is we get the heist modes we were promised but never delivered in Grand Theft Auto V. We get cops versus robbers in dynamic shootouts and progressive multi-tiered robberies like in Payday 2, and we get the super-awesome vehicular combat and multiplayer tuned large-scale travel just like in APB: Reloaded. I mean, seriously... really?! There's nothing about Hardline I can complain about, especially given that the very trusted and quality-ridden development studio of Visceral Games will be behind this one, giving DICE more time to finish fixing Battlefield 4. Even more than that, everyone who complains about Call of Duty recycling the same old thing over and over again, surely can't complain about the steps EA and Visceral have taken to step up the game with Battlefield: Hardline. Now let's be real about this, though: There's no way this game will be any good if it's still a cross-generational title. The official reveal will happen at this year's E3, but hopefully EA puts greed to the side just for a bit and focus on making Battlefield: Hardline a very quality-made, well-designed, eighth-gen tuned shooter. So far, most cross-gen titles that have come out have been horribly underwhelming due to the technical limitations put into place to accommodate the geriatric twins from the seventh gen, and we've seen games take massive downgrades in order to maintain streamlined developmental pipelines across both the new and the old console tiers. If Hardlined is eighth-gen only, there's hope it could turn out to be a decent game on day one. However, if this is another cross-gen cash-in, expect more out-of-the-box bugs than a abandoned house filled to the brim with unsightly roaches in Findlay, Ohio. 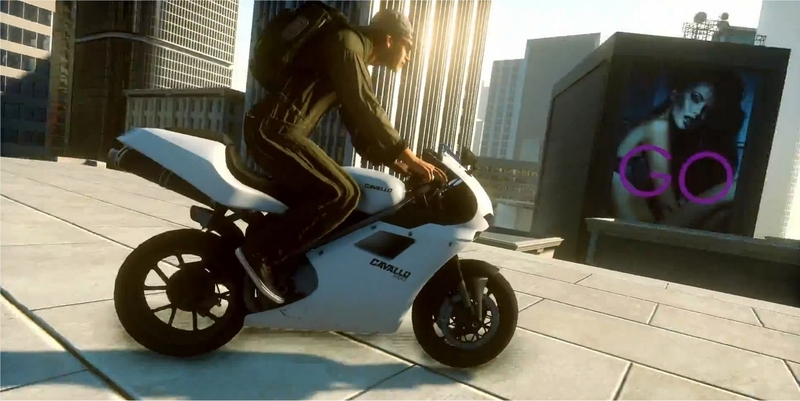 I will say that I'm thoroughly excited for Hardline. I know the graphics looked like they come from an early build, but there's still tons of promise we're seeing, gameplay wise. Because it's all about the gameplay, right folks? Graphics don't matter, am I right? Or does that only apply when the Xbox One is producing welfare-quality visuals at 792p and 30fps?